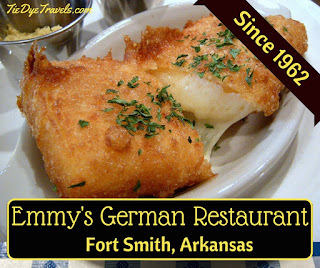 While there are many communities in Arkansas that were started by German immigrants (Stuttgart comes to mind), and while there are many German influences on Arkansas cuisine (including fried cabbage, the slaw used on Arkansas barbecue sandwiches and the kraut on the corned beef sandwich), there are few German restaurants. Anti-German sentiment during World War II squashed much of the love for such restaurants, and for the most part we walked away from the ideas and restaurants and cuisine. The influences do remain in other ways – in some of our baking and stews. And there are a few restaurants that have sparked since then. Of them, there’s just one that’s stood for more than 50 years. 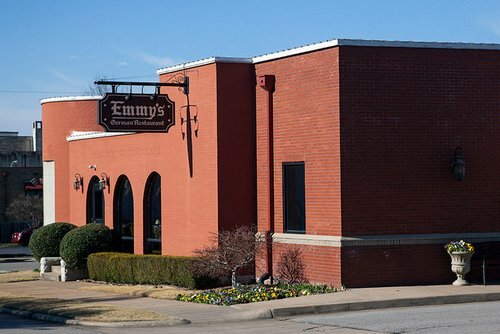 That’s Emmy’s German Restaurant in Fort Smith. After World War II, Al Thome was stationed in Offenbach, Germany, a short distance south of Frankfurt. There he met a young lady named Emmy Werner, and he married her. They lived in Offenbach a few years, and Emmy and her mother taught Al how to cook. He learned traditional German dishes and the methods in which they came together. After a few years, the Thomes decided to come to America. First they relocated to Illinois, where Al was from. Then they moved to Fort Smith. There it soon became apparent that a new restaurant might not be a bad idea. Lighthouse or any of the other fine dining experiences available in the western Arkansas town. 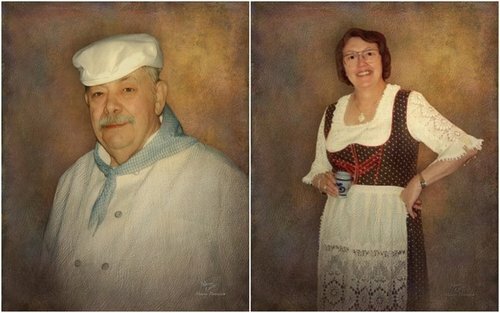 So in 1962 Al and Emmy opened a little Bavarian-style restaurant on 11th Street, serving what they called wunderbarsten – or, for English-speakers, The Best – of German food. They moved the restaurant a short while later to 16th Street, where it became Zum Deutschen Eck (The German Corner). The eatery became the place where many Arkansawyers encountered their first sauerbraten, schnitzel, spatzel and streudel. At some point, the name on the Victorian house at 602 North 16th Street changed to Emmy’s German Restaurant, and for 40 years it was one of the top places for dates, proms and wedding receptions. Al even came up with a deep fried cheese recipe that’s bore up through the ages. 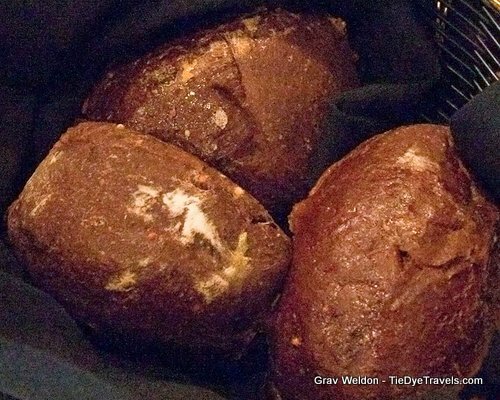 Served with mustard, it’s an otherworldly experience. Al and Emmy loved their restaurant, and they loved Fort Smith. But they never had any children. When they passed away, Emmy’s closed. Briefly. Then the son of the owner of Taliano’s – that other great place serving fine food to promgoers and wedding parties over the years just a few blocks away – he came into the picture. Joe Caldarera shared some of those fine schnitzel memories with so many other Fort Smith residents. He decided to keep the love going. He approached Al’s sister, who had kept ahold of the recipes that had been used at Emmy’s for more than 40 years. He bought them, bought the old banquet hall that Emmy’s had utilized and brought back this old favorite. 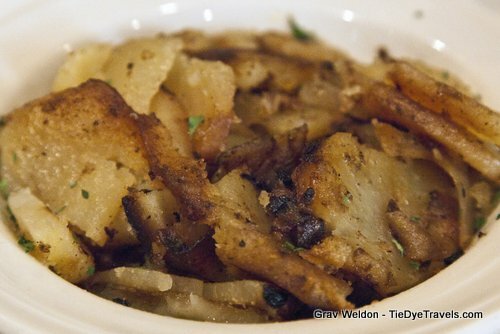 Today Emmy’s is still serving up Al and Emmy’s delicious dishes – her famed Cordon Bleu, his fried cheese and every odd (to American ears) sounding German dishes. Joe has added his own, and today you can enjoy such items as German eggrolls, Red Snapper Fromage and Vegetarian Pasta. You’ll find Emmy’s German Restaurant at 200 North 13th Street in Fort Smith. It’s open for dinner Tuesday through Saturday. 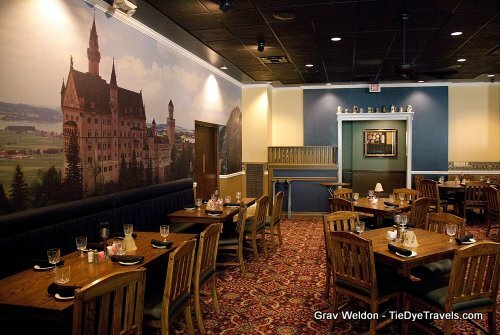 As one of just three German restaurants in the state and the granddaddy of all of them, it’s a must-dine attraction. (479) 242-3669. www.emmystoo.com. UPDATED 8/24/17 with photo credits and new Zomato link.